The previous conference organised by the Working Party (WP) on History of Chemistry of the European Association for Chemical and Molecular Sciences (EuCheMS) – formerly Federation of European Chemical Societies (FECS) – was held in Budapest in September 2003 on “Communication in chemistry in Europe , across borders and across generations”. A major aim of these conferences organised by the WP is to facilitate communication between historically interested chemists and historians of chemistry from all over Europe . Under the large umbrella of the theme “Chemistry, Technology and Society”, the present conference will mainly focus on three topics, which all have attracted public and scholarly attention in recent years. 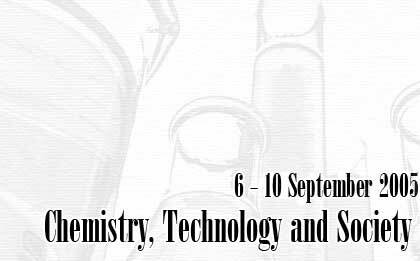 By discussing the cultural and material influences on chemistry, as well as the practical and cultural impacts of this discipline, the conference aims at improving our understanding of the place of chemistry in its technological and social environments. Some special sessions will also be devoted to the development of Portuguese chemistry. >>POSTERS Dimensions: The Dimensions of each poster must be 120 Cm x 80 Cm (high x wide).